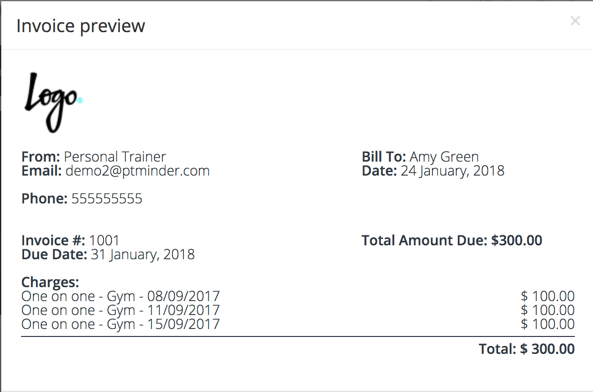 PTminder is a top choice for personal trainers and boutique fitness studios looking for a lightweight software system to help them manage their business more efficiently, without breaking the bank. 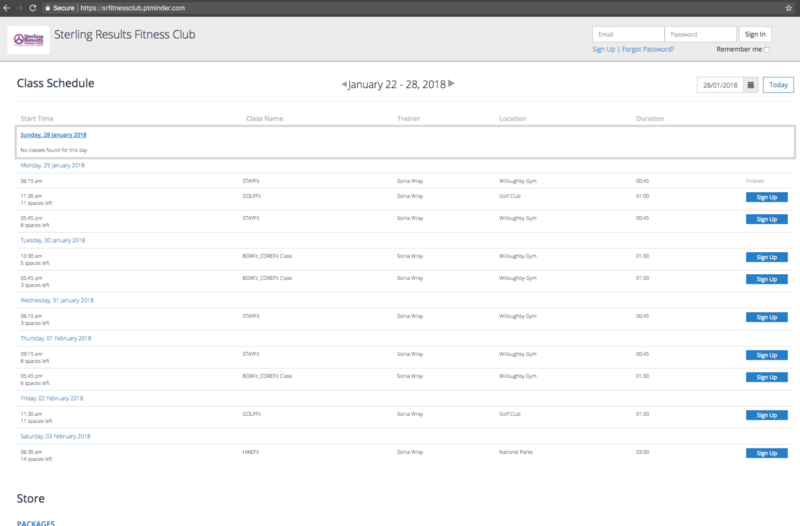 PTminder is a top choice for personal trainers and boutique fitness studios looking for a lightweight software system to help them manage their business more efficiently, without breaking the bank. The user-friendly design allows trainers and clients to easily schedule classes, and access any relevant data in one central location. In addition, the client management capabilities help facilitate communication between trainers and clients, which plays an important role in retaining clients and reducing cancellations and no-shows. The software also allows trainers to create workout and nutrition plans using a large library of exercises and foods. Additional fees for SMS Text Messages. Special offer for SoftwarePundit readers: Receive 10% off your paid PTminder subscription (forever!) if you sign up through our referral link. Is PTminder the right software for you? PTminder is a popular client management tool used by personal trainers, studios and gyms across the world. The company has helped over 200,000 clients, processing over 4.4 million bookings and over $92 million in payments. PTminder excels in simplifying the day-to-day operations of running a boutique fitness studio or personal training business. The software helps users spend less time on administrative tasks, so that you can spend more time with your clients. We've found PTminder to be very user-friendly and intuitive, with a simple design that ensures all important information can be easily found on the spot. In addition to its robust functionality, users are also attracted to PTminder because of its price, which can cost 10-20% of what you would expect to pay for a full-fledged gym management system. The team at PTminder provides 24/7 support, with customer service representatives on-hand to assist via email, live chat, and phone. The software also has an online help portal, which features in-depth guides with set-by-step instructions and helpful images. One area that we've found PTminder to be lacking in compared to its competition is the nutrition and workout tracking for clients. While trainers can set up a workout program and nutrition plan, there is limited functionality in this area for clients, since they're not able to record and track plans. Depending on your needs, this may not be a big issue, as PTminder could be used in conjunction with other software that provides this functionality. PTminder is a well-rounded software solution that's suitable for personal trainers and boutique fitness studios. Below, we'll explore the key features of PTminder and how they can benefit your business. To book a client into an existing class, trainers can click on the class in the calendar and add the client by clicking the modify button. Scheduling is not only straightforward but also feature-rich, allowing your business to remain highly organized and efficient. The software enables the users to set the location quickly, assign a trainer and manage the cost of classes and sessions all from the calendar. After a client registers for a class, you can have PTminder send automated emails or SMS notifications, and set up recurring sessions with one click. Trainers can also effortlessly change the time and date of a session, or even extend the duration of a session by using an intuitive drag-and-drop feature. Another impressive feature of this program is the ability to filter the calendar according to a specific class or trainer. As a manager, it can be difficult to keep track of the various classes and sessions occurring simultaneously. PTminder’s convenient filtering system allows you to quickly view only group classes, or get a snapshot of just one trainer’s weekly schedule at a time. PTminder enables clients to easily view, sign up and pay for classes. The class schedule includes each trainer's name, a brief description of the class, its location and the positions available. If the class is full, clients can register on a waiting list. When a booking is requested, clients are asked to either sign in or create an account. One helpful feature is the ability to set up pre-exercise questionnaires and acceptance statements that clients must complete before attending a class. Trainers can easily customize the questions to best suit their needs. Keeping detailed information on every client plays an important role in being able to provide an exceptional experience for every client. 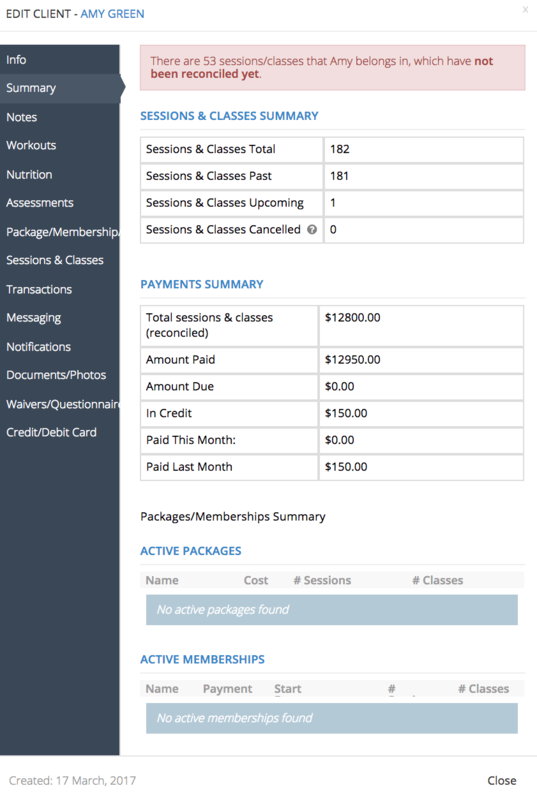 PTminder ensures that each of your clients has an in-depth profile that includes their contact information, current and past activity (classes/sessions), any purchased packages/memberships/products, workout/nutrition plans, billing information and signed waivers. In addition, you can store information about the client's progress by keeping track of their weight, body fat percentage and other measurements. PTminder stores all relevant client information in one central location, which makes it easy for trainers to manage and update information at a glance. PTminder also provides the option to allocate trainers to specific clients, which is helpful if you have a team of trainers running different classes/sessions. One of the PTminder's major strengths is its built-in client messaging system, which lets trainers quickly send customized emails text messages to clients. These messages can help improve communication with clients, and can send automatic appointment reminders, which is a powerful way to reduce cancellations and no-shows. However, SMS text messages come with an additional charge, which some users may find to be expensive. Like most fitness management software systems, PTminder has a mobile app that's compatible with both iOS and Android devices. 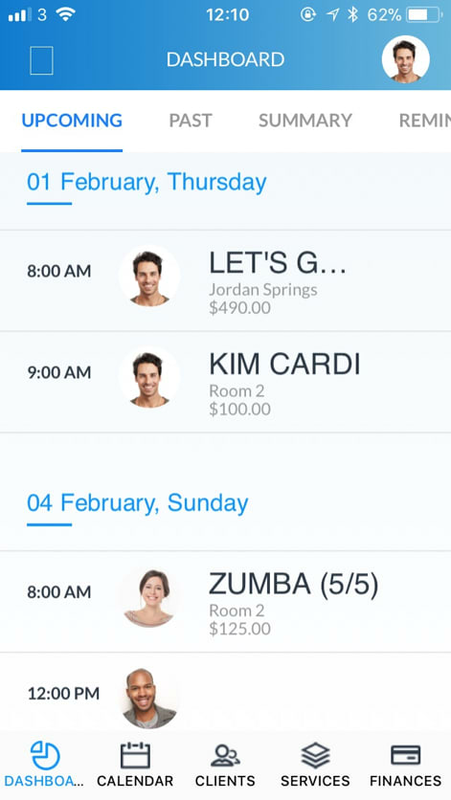 The free app allows both trainers and clients to access the calendar, manage bookings and view client information anywhere, anytime. However, it's important to keep in mind that this is a generic app that's the same for all businesses that use PTminder. If you're looking for a branded mobile app for your business, you'll have to purchase the Platinum Plan for $75/month. PTminder accepts payment for sessions, classes, packages and memberships via cash, check and credit/debit cards. Clients can make secure payments online. The software is compatible with several payment gateways, including Stripe and PayPal. You can create invoices and receipts that are customized with your business logo, email address, phone number and business registration number. If you already have a website, you'll be able to integrate it with PTminder, so that clients can book appointments and classes directly through your website. To enable this functionality, you'll just need to copy and paste some HTML on your website (PTminder provides detailed step by step instructions here). 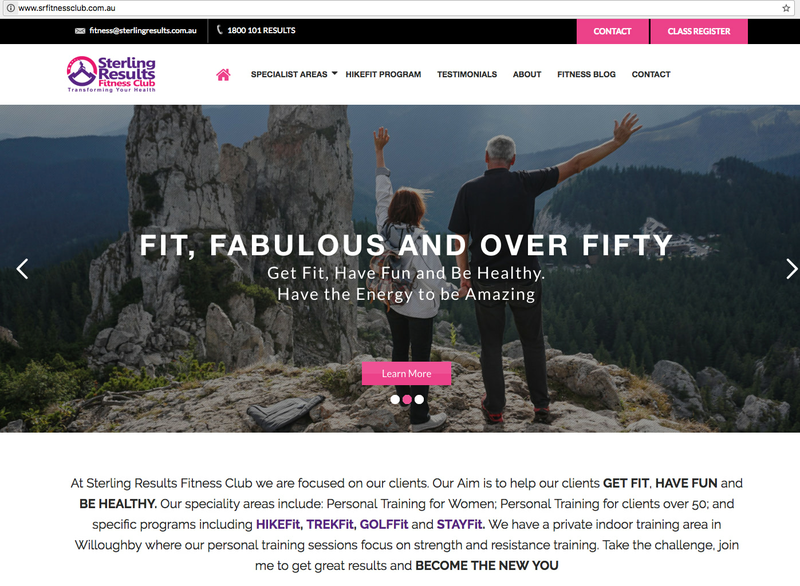 When a client clicks on 'CLASS REGISTER', they'll be taken to Sterling Fitness Club's dedicated PTminder page, where they can register for classes, or purchase class packages or merchandise. If you don't already have a website, you can just use this site provided by PTminder as your business' website. However, since it's easy to create a website for your business, we would suggest creating your own simple page, and integrating it with PTminder. This will give you complete control over your website, and will let you customize it however you see fit. In addition to integrating with your website, PTminder can also integrate with other software systems that you might use to help manage your fitness business. For example, PTminder is capable of syncing with your Google calendar, which can help you stay on top of all of your bookings. You can also sync PTminder's client list with MailChimp, which will allow you to send targeted emails, and create automated campaigns to boost retention and increase bookings. PTminder has a workout and nutrition planner to help trainers quickly create and assign programs to clients. Trainers can access PTminder's library of exercises, which includes detailed descriptions, images, and videos of each exercise. 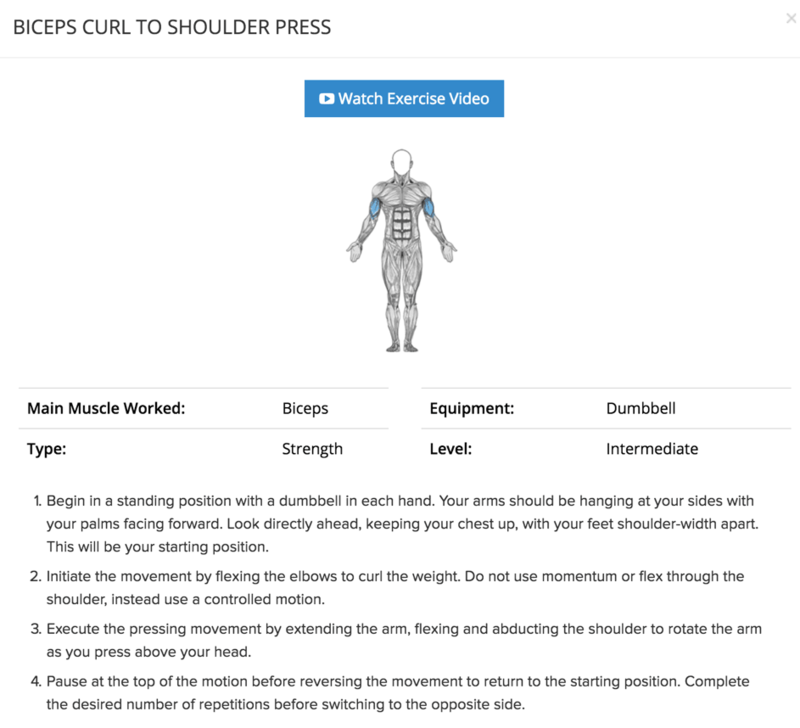 You can search through this exercise library by browsing exercises for specific body parts. Then, you can add these exercises to a workout plan, or create your own custom exercises. When entering an exercise into the workout plan, you can enter the number of sets and reps, as well as specify a rest period between sets, so that you can build a comprehensive workout plan to help clients achieve their desired results. Clients will be able to access the workout online, or print a copy of it for themselves. Workout plans can also be assigned a session or class, delivering trainers the flexibility to tailor programs for a variety of different fitness needs. For example, participants in a 12-week boot camp can view the upcoming sessions’ workout and see instructional videos on technique, providing a better client experience. While keeping your clients’ workout on track is important, the real results can be achieved if they have a detailed nutrition plan to follow. PTminder enables trainers to create and assign nutrition plans to clients using an built-in library encompassing thousands of food options. Nutrition plans are broken down by breakfast, lunch, and dinner, providing a detailed overview of macros for each food item. Trainers also have the option to add custom foods, although this can be very tedious as nutrient information needs to be added in manually. 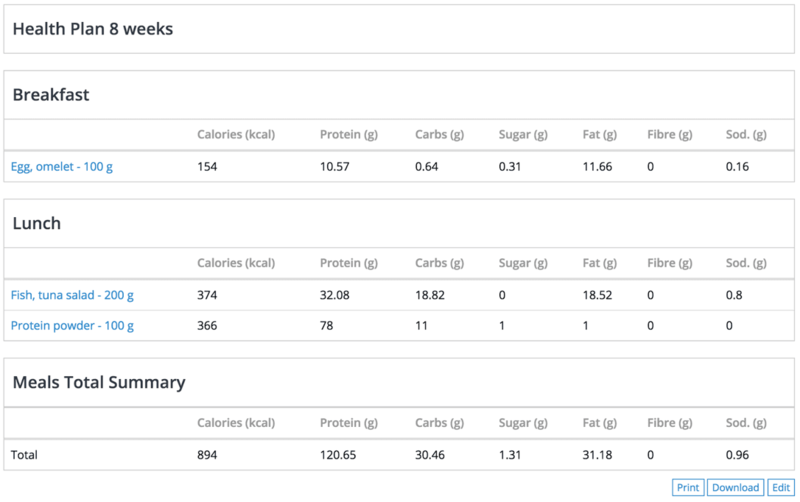 While the nutrition plans provide an excellent guideline for clients to manage their food intake, there is no option for clients to record and track information or view this across a period of time. Though PTminder makes it easy for personal trainers to create workout plans and nutrition plans, one downside for clients is that they're only able to view plans assigned to them—they cannot edit these plans themselves, or keep track of their workout results or caloric intake. PTminder users have access to a comprehensive reporting system that allows gym and studio owners to track their performance over time. Owners can gain a quick snapshot of their business accounts by generating profit and loss statements, projected earnings, reconciled earnings and payments recorded over selected time periods. PTminder allows you to sell products to clients online, which is helpful if you sell things like supplements, equipment or apparel. Businesses can specify the price of each product, enable promo codes and accept payments online for various products. While this is an excellent feature for any gym or fitness business, one minor drawback with PTminder’s POS is the inability to add an image on the store page. Is PTminder right for you? PTminder is an affordable cloud-based client management system designed for personal trainers and boutique fitness businesses. The software provides all of the functionality needed to help streamline various routine tasks, such as scheduling classes, receiving online payments and managing client information, all in one central location. Since its monthly price of $39/month is significantly lower than other full-fledged gym management systems, it's an excellent option for personal trainers and smaller fitness studios who want to streamline their business using a lightweight, budget-friendly system. To learn more about PTminder, you can visit their site here. SoftwarePundit readers will receive 10% off of your paid membership. You can also read our interview with Sonia Wray, owner of Sterling Results Fitness Club, to learn why she decided to use PTminder to help grow her fitness business.